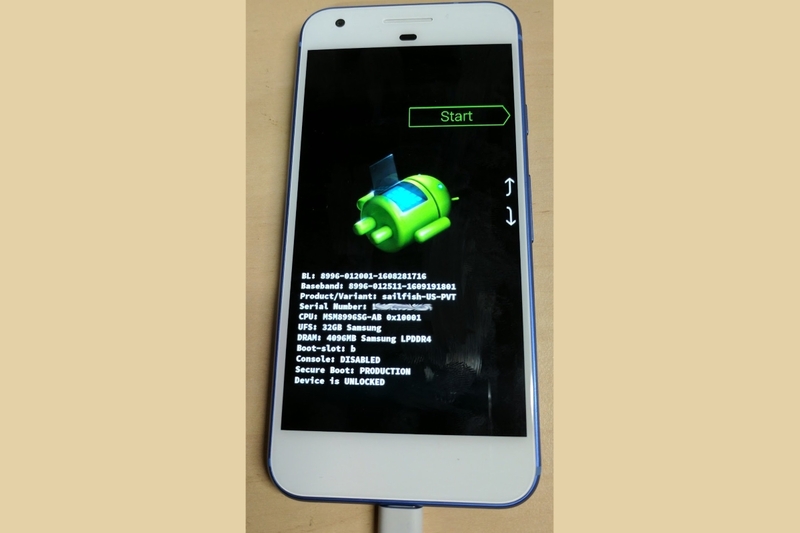 Back when the Google Pixel duo were still in the leak stages, there were reports that the Verizon based Pixel devices would come with their bootloaders locked, and with no way to officially unlock them in a straightforward manner. This created an important distinction between the carrier-unlocked Pixel as it was sold directly from Google, and the carrier-locked Pixel sold from Verizon, despite having virtually no differences in hardware. In case you bought the Pixel from Verizon despite their past history with locked bootloaders, here is a bit of good news. The SunShine dev team has announced (albeit via a different Twitter account) that they have managed to unlock the bootloader on the Verizon variant of the Google Pixel. Before you jump on and celebrate, do keep in mind that the dev team, whose members are known famously for their SunShine unlocks and S-Off solutions for HTC devices, has not yet released the unlock for the device. There is a “maybe” attached to their announcement, indicating that there is a possibility that this does not get released for the public at large. There could be a few reasons why one would prefer buying the device from Verizon rather than from Google. One of the main draws for people often is the trade-in value that they receive when they hand in over their older devices, which can be as high as $200. This removes the hassle of selling a device which otherwise would not command such a high value in the second-hand market. The other reason often is staggered payment plans, but since Google is also offering the same with the Pixels in the USA, this does not stand as strongly. The Pixel devices on Verizon do come with bloatware, but the bloatware can be disabled and uninstalled. Early reports mentioned that the Verizon based devices would have their updates routed through Verizon, though it was later clarified that both the Verizon and non-Verizon Pixels would receive updates at the same time. The locked bootloader still remains a valid concern for XDA readers, that is until the devs release their unlock solutions. The reasons to not buy the Google Pixel from Verizon continue to shrink down. Still, I would personally avoid Verizon, just out of principle. Update: XDA Senior Recognized Developer jcase from the SunShine developer team informed us that this bootloader unlock will not be a part of SunShine. Whenever/if the team does release the unlock, it will likely be free barring any unforeseen circumstances. Though if Verizon or Google patch the routes that the team had to go through for the unlock, and if they need to figure out how to unlock it all over again, then things might change on that end. To further clarify, the Verizon Pixel Unlock is brought to us by jcase and XDA Recognized Developer beaups, who constitute the SunShine developer team. But, this unlock is decoupled from SunShine and will be available separately and for free as a token of appreciation to the community. What are your thoughts on this development? Did you purchase your Pixel from Google, or from Verizon? Let us know in the comments below!